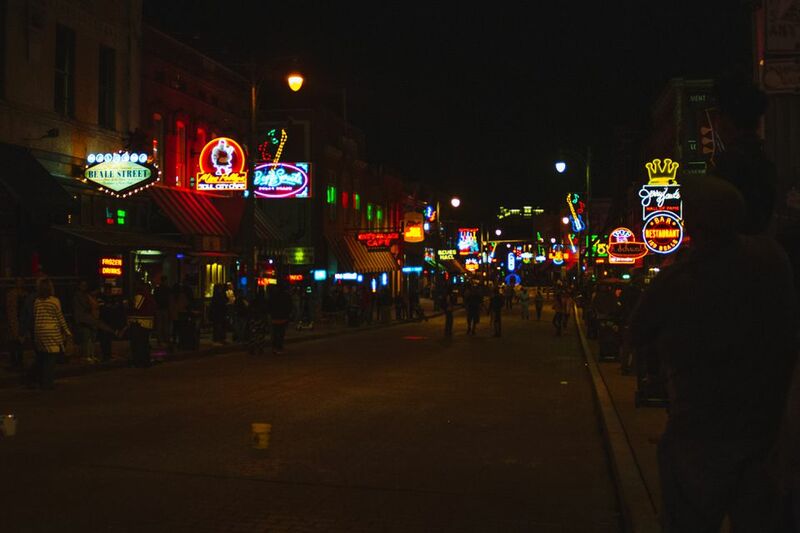 There is an abundance of free things to do in Memphis, Tennessee, and the Mid-South. Here are some of the best freebies the city has to offer. Each day at 11:00 a.m. a procession of mallard ducks makes its way from the roof of the Peabody Hotel down to the Grand Lobby. Once there, a red carpet is rolled out and John Philip Sousa's ​King Cotton March begins to play. The ducks then march into the ornate fountain in the center of the lobby. At 5:00 p.m., the ceremony is reversed when the ducks return to their rooftop home. Though this may sound like an odd ritual, it has been a Memphis tradition since the 1930's. Elmwood Cemetery is Memphis' oldest active cemetery and is abundant with Memphis history. Its residents include Confederate and Union generals, mayors, governors, madames, outlaws, and spies. Additionally, the grounds of Elmwood are adorned with tombstones that are crumbling and moss-covered and tombstones that are gothic and breathtaking. The South Main Historic District in Downtown Memphis is a great place to spend an afternoon or evening. Park your car so that you can walk through the district and stop in at its many boutiques, art galleries, and unique eateries. If you would rather not walk, there is a free trolley tour of the district on the last Friday of every month. Most long-time Memphians have come to take the Mighty Mississippi for granted. But the river is magnificent and a great place to visit for a walk, a picnic, or just some relaxation. The grassy banks, bumpy cobblestones, and paved walkways of the riverside can accommodate a variety of activities. For a romantic outing, take a moonlit stroll. Always remember to use caution when nearing the water's edge. Memorial Park is located at 5668 Poplar Avenue in Memphis. Nestled within this neatly manicured cemetery is the Crystal Shrine Grotto. The grotto, or cave, contains three-dimensional scenes depicting the life of Jesus Christ. Regardless of your religious beliefs, you will likely appreciate the amazing artwork in the grotto. The Art Museum of The University of Memphis is one of the city's hidden cultural treasures. The museum features both permanent exhibits and revolving temporary exhibits. Some of the permanent collections include the Egyptian Antiquities collection, the Works on Paper collection, and the African collection. Mud Island is located at 125 North Front Street in downtown Memphis. The free area of the "river park" features a 1/2 mile model of the Mississippi River that empties into a wading pool replica of the Gulf of Mexico, complete with sprinklers for the kids to run through. To make this a free trip, use the footbridge instead of the monorail to access the park and skip the museum. This is a great free destination for a hot day (don't forget the kids' swimsuits!). A. Schwab's is a dry goods store located at 163 Beale Street. The oldest surviving business on Beale, Schwab's has not changed much since it opened in 1876. Creaking hardwood floors and nickel candy are just part of its charm. An eclectic variety of goods such as voodoo accouterments, underwear, walking sticks, and souvenirs plus a museum upstairs, make A. Schwab's one of Memphis' best free destinations. No, Graceland has not done away with its admission fees. However, one of the most popular parts of Graceland is, and will always be, free. That famous entrance adorned with musical notes and the outlines of Elvis is the destination of many fans. If you aren't interested in the mansion tour or don't want to pay the fees, just head down Elvis Presley Boulevard and have your picture made in front of those renowned gates.